Ready to take your photographic skills to the next level? Chattahoochee Parks Conservancy (CPC) is pleased to partner with Nature Photographer, Tom Wilson, and offer a 1-day photography workshop. The Chattahoochee River is one of the best venues for Nature Photography in the Southeastern US. Outstanding photographer, Lee Friedman, will join Tom in teaching you how to capture its beauty with a camera. Note: This is a benefit event for CPC! Prerequisites: Participants should be familiar with the basic operations of their camera. Essentially, be able to focus the camera and manually set exposure. Participants should have a tripod and a means of triggering the shutter remotely or using an exposure delay setting. A circular polarizing filter is also highly recommended. The Chattahoochee River and its environs are marvelous photographic subjects, potentially providing endless opportunities for nature photography. 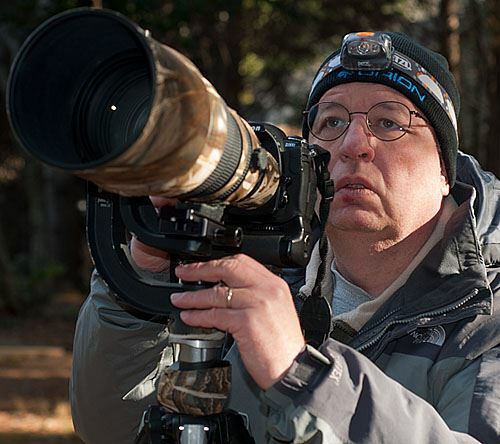 The lead course instructor, Tom Wilson, has been photographing the Chattahoochee River for over 15 years, providing photography for the Chattahoochee River National Recreation Area (CRNRA), CPC, and Chattahoochee Riverkeeper during that time. The course will cover camera techniques for capturing high quality images such as use of a tripod, remote shutter release and other techniques for maximizing image quality. We will cover how to use direction and quality of light to enhance a photograph, use basic compositional skills to produce powerful images, as well as how focal length, depth of field, shutter speed, ISO selection, filtration and other variables can be used creatively to produce images with impact. 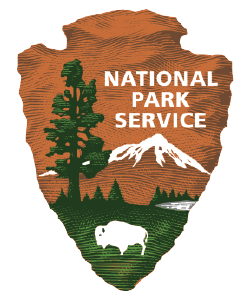 The course will begin at 9:00am on Saturday May 4th with a classroom session at Hewlett Lodge/Island Ford Visitor Center. We will break for lunch at noon and begin our second classroom session at 1:00pm. At 3:00pm, we will begin our outdoor session which will involve a short hike down to the Chattahoochee River at Island Ford to practice some of the techniques we covered in the classroom sessions. For more information, contact us Debra Blanchard at debra.blanchard@chattahoocheeparks.org. SAVE THE DATE: Registration opens May 12! Walk & Talk Series: Paddle the Relay Down the Hooch! Paddle the Relay Down the Hooch! Chattahoochee Parks Conservency (CPC) and Nantahala Outdoor Center (NOC) are proud partners in Chattahoochee Riverkeeper’s Relay Down the Hooch. We will host a paddle trip from Morgan Falls to Paces Mill on June 29th - the 17th leg of this incredible 435 miles journey. Physical Requirements: All participants must be able to swim efficiently and must be able to get in and out of a kayak easily (i.e. those with knee or back injuries may have difficulty). Paddling uses your core muscles, arms and shoulders. Anyone with injuries in these areas may have difficulty. SAVE THE DATE: Registration opens Aug 25! Guide: Dr. Bill Witherspoon and Dr. Pamela Gore co-authored the popular guide, Roadside Geology of Georgia, a full-color volume on Georgia's wonders, from the coast to the mountains: landscapes, rocks, minerals, fossils, and the human stories geology has shaped. Dr. Witherspoon taught geology to K-12 students and their teachers for 17 years at DeKalb County Schools’ Fernbank Science Center. SAVE THE DATE: Registration opens Sept 15!